Are You Wondering How to Buy Life Insurance on Your Parents? Your parent’s signature on the application for insurance. However, there are some insurance companies that may allow you to purchase coverage on your parents without notifying your parents. In order to get funeral life insurance on another person you are required to have an "Insurable Interest" in the person you want to insure. Insurable Interest does exist between parents and their children, spouse, family members, and business partners, among others. Insurable Interest means you stand to lose financially if the person you wish to insure dies, or you rely on that person for some means of financial support. Note: Insurable Interest does exist between parents and their children – "Yes" you can purchase a life insurance policy on your parent or both parents. Why Buy a Life Insurance Policy on My Parents? If you purchase life insurance on your parent you can name yourself as the beneficiary of the insurance policy. And, you can use some of the money from the policy death benefit to help pay for your parent’s funeral and burial costs. What Companies Offer Life Insurance for Senior Parents? There are many insurance carriers that offer senior life and funeral insurance plans you may purchase on your parents. Some of the leading senior life insurance carriers include United of Omaha, Gerber Life, Colonial Penn, and AARP/New York Life, among others. To purchase life insurance for your parents you may want to discuss with them the prospect of buying life insurance on one or both of them. Let them know you are wondering how you will be able to cover all of the related costs that would go into providing them with a proper send-off they deserve when the time come. Keep your parent’s feelings in mind when discussing this with them. They may feel embarrassed if they are unable to afford to buy life insurance on themselves. Or, they may find it too painful and difficult to think about, or discuss with you. Make sure you let them know you want to do what’s best for them, and that you will be paying for the cost of the insurance policy. This may help ease their minds over the thought of getting life insurance coverage for both of them. When you are ready to shop for a plan, be sure to get the list of medications your parents take, their health history, height and weight, and other relevant information. Then, you can visit a life insurance website that offers multiple insurance quotes for senior life insurance policies in order to assist you in finding the most affordable plan. Most people who are buying life insurance for their parents get a policy that does not require any medical examination. 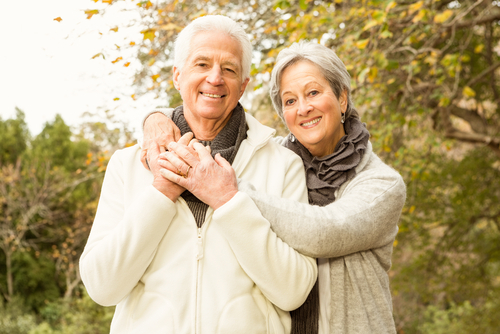 United of Omaha offers guaranteed acceptance whole life insurance for people age 45 to 85. Choose $3,000 up to $25,000 of coverage. Rates start as low as $8.80 per month. There’s no medical exam and no health questions asked. You can get a quote and apply online now. You cannot be turned down. START HERE to get a FREE Quote. JRC Insurance Group helps you shop, compare and save on life insurance. Regardless of your age ir health background, we’ll shop our 40+ insurance companies and find you affordable life insurance you need to protect your family and fit your budget. Compare the best life insurance rates for savings up to 73%. Get Your FREE Quote. o cover final expenses such as funeral and burial costs, you may want a permanent life insurance policy that is sure to be "In Effect" when your parent’s entire lifetime. You also want to get a policy where the price is "Locked-In" – guaranteed not to increase, so that it does not become unaffordable for you or your parents as they get older. Applying for life insurance may require that they sign the application, and they may need to do a phone interview. Most people choose to have the premium drafted when approved, so that the insurance policy goes Into Effect within a very short time. Guaranteed Issue life insurance will offer coverage with no health exam and no health questions for your parents to answer.